This entry was posted in Field and Farm, Shades of Gray and tagged Black and White Photography, Clouds, Field, Landscape Photography, Seasons, Shadows, Sky Photography, Summer. Bookmark the permalink. 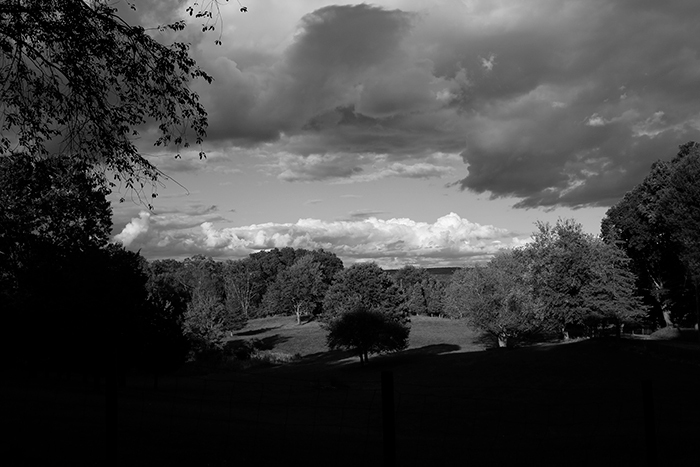 3 Responses to The Hollow, Bridgewater, Conn.
A very dramatic landscape and a glorious sky. A perfect choice for black-and-white. Very nice indeed. Love the mood. Gorgeous in black and white, Marc.